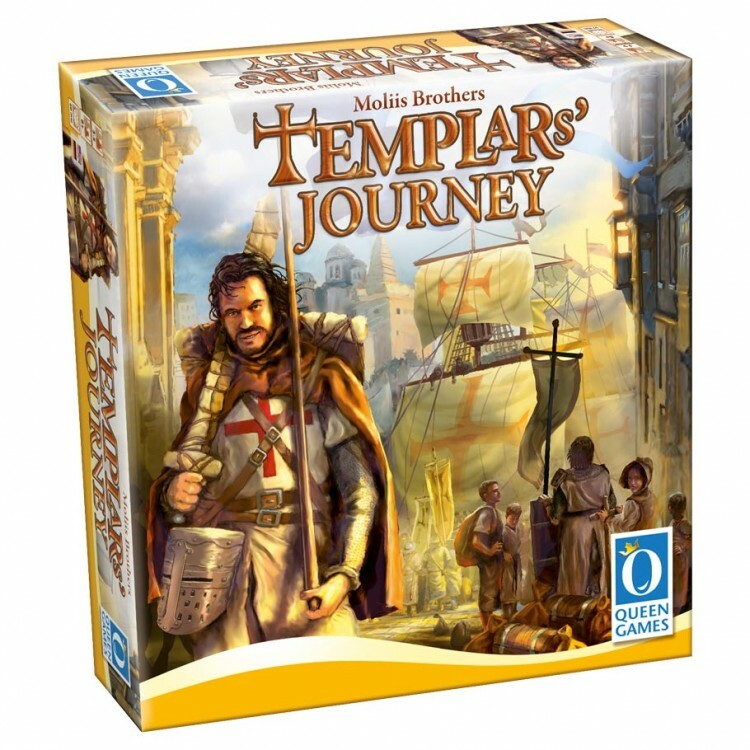 In the strategy game Templars' Journey, players prepare their knights and templar lords for the holy crusade in Jerusalem. 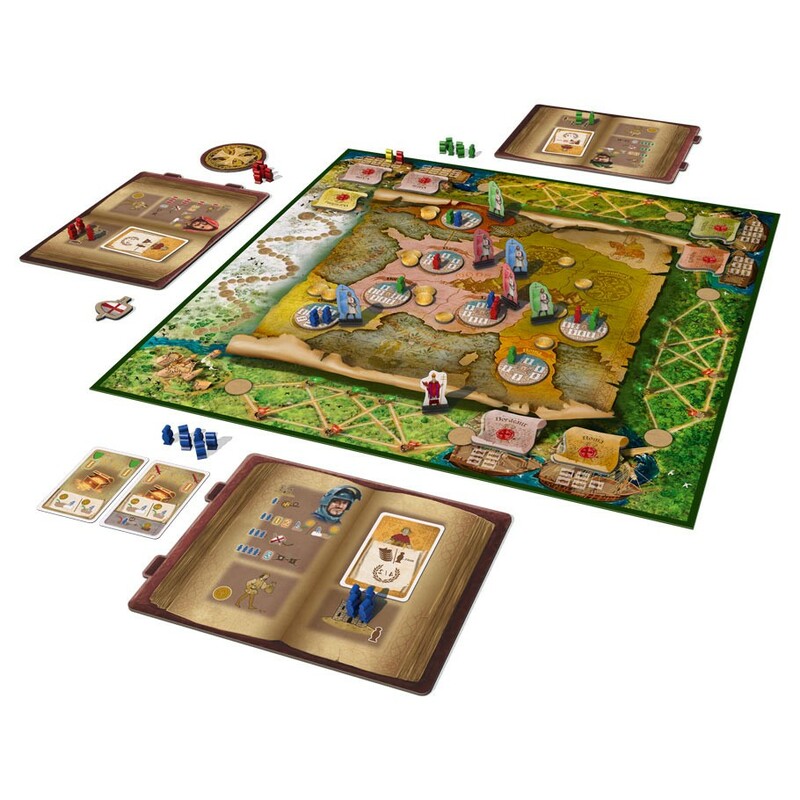 Each time players choose their cards, they can play either safe (but not so worthwhile) actions or more profitable ones — but if an opponent has chosen the same more profitable action you both receive punishment for being too greedy. The better you guess your opponents' choices, the more profit you'll make!